This week, the menswear retail game will get a new player. 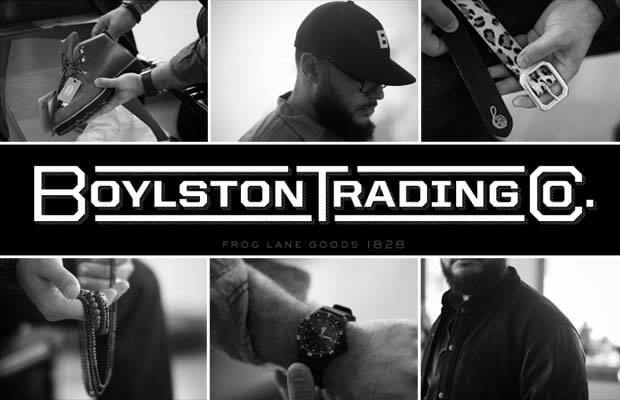 We caught up with the man behind Boylston Trading Co., Frank "The Butcher" Rivera, to check out a preview of the goods, and get the stories behind a few of the coolest things BTCo will be offering. Here, from the Butcher himself, is a look at 10 awesome pieces you'll be able to cop soon. "Boylston Trading Company is an opportunity to marry all my interests into one venture—retail, product collaborations, editorials, working with new people and discovering new things. I’ve been fortunate enough to work my way into a position to execute a vision I believe will keep retail exciting. BTCo will start online and will open a brick and mortar in Boston at the top of 2012. Premium menswear, exciting partnerships and a focus on integrity in design and quality will separate us from other retailers."